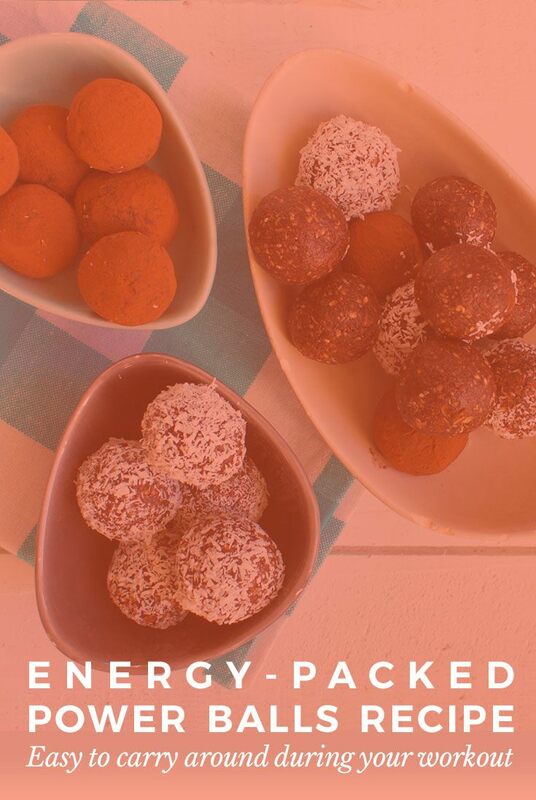 Power balls are the ultimate portable snacks for runners, cyclists, hikers and couch potatoes. 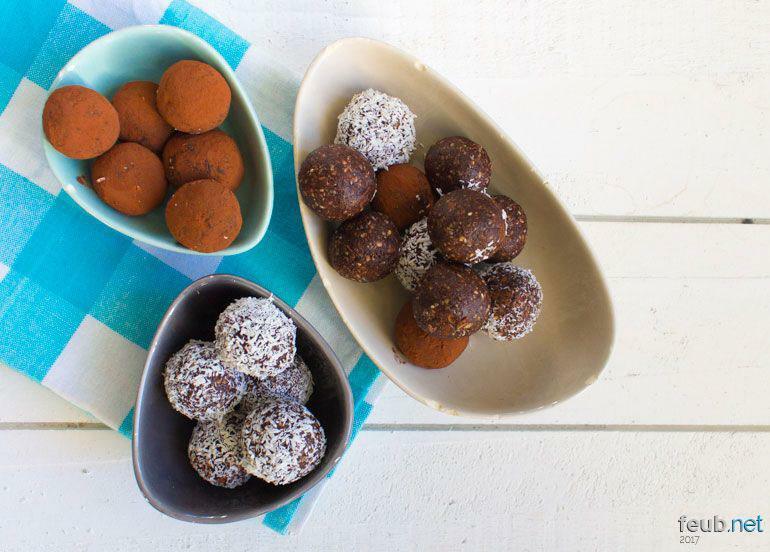 Indeed, they are not only a healthy treat, packed with proteins, fibres, and other nutritional benefits – but they are also deliciously decadent, even though there is no refined sugar in this recipe. Think of them as the athletic cousins of chocolate truffles. Plus they are raw (vegan of course), quick and easy to make and only require a food processor and some alone time in the refrigerator. 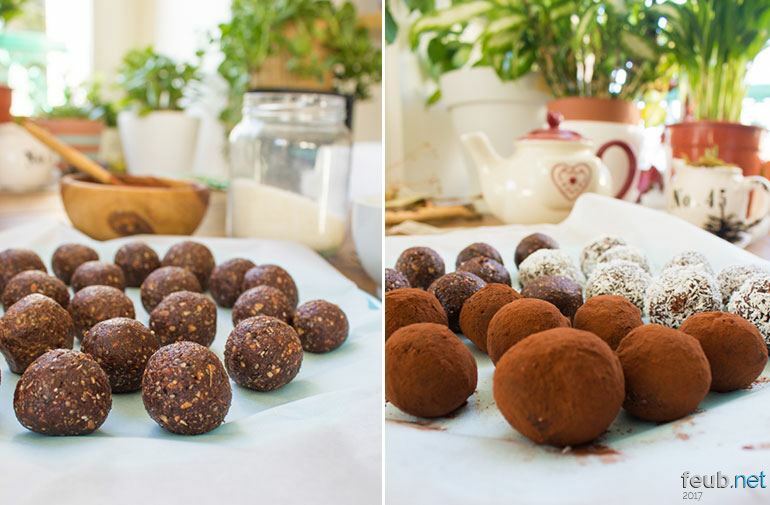 The recipe for the power balls presented here has been made by my wife Francesca (from the lifestyle blog Seven Roses), for around 24 balls. and oats – also a good source of protein, calcium and potassium. Start by processing your flax seeds – it’s better to buy whole flax seeds and grind them as you need them, in order to prevent them from going rancid. Add oats and hazelnuts to your food processor, and process until you have a flour-like consistency. 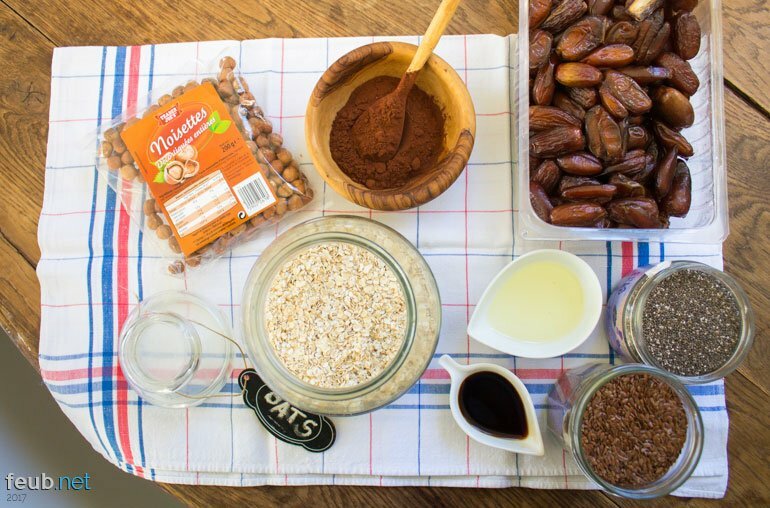 At this point you can add all the dry ingredients to the food processor – dates, cacao powder, chia seeds – and the vanilla essence. While the food processor is working, add the liquids tablespoon by tablespoon (coconut oil and/or water) until the mixture forms a sticky ball. That’s when you’ll know it’s ready. Now wet your hands, form little (or big) balls and place them on a plate covered in parchment paper. Optional – at this point you might decide to coat them in coconut flakes or cacao powder. To do so simply put the desired coating in a small bowl, gently roll the power balls in order to cover them completely (you must do this now and not later because the dough is still slightly sticky at this point). Let sit in the fridge for 30 minutes or up to a couple of hours, so they can harden and become easy to carry around. Pack them for a pick-me-up on your next ultra marathon, your hiking adventure or simply keep them close to your sofa during your movie marathon for a healthy treat. It’s up to you :-) As far as I am concerned, I had a few on my New Year’s Eve trail (the trace is here). This is only happiness and totally healthy. For other gourmet recipes, good for your body and soul, please visit Seven Roses. And do not hesitate to share your comments below, especially if you try them!